Vitamins & MineralsOlimp Alkagen - 120 kaps. 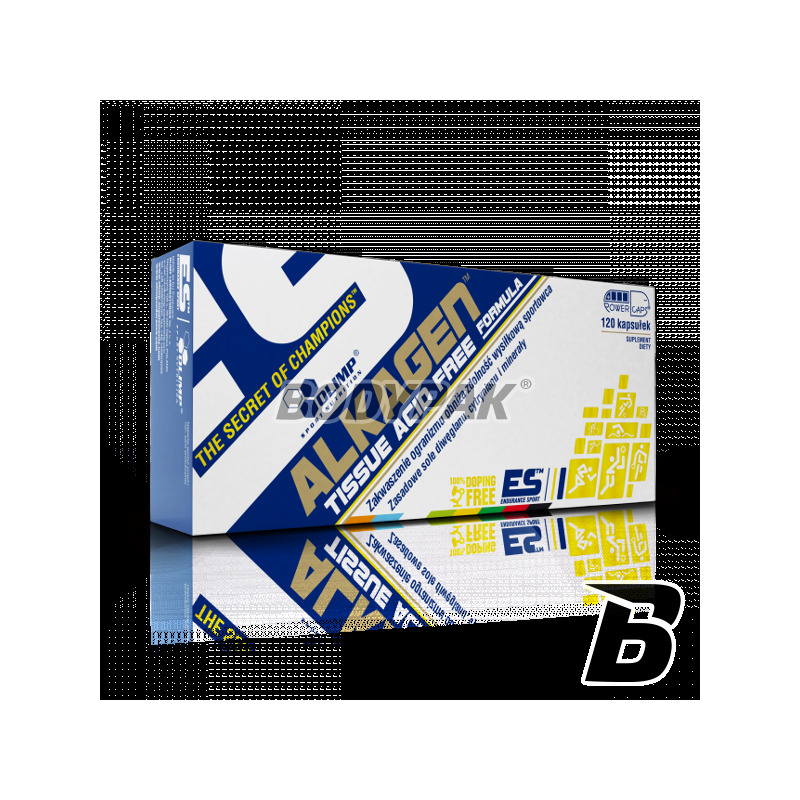 Alkagen - product contains alkali metal salts of citric acid and bicarbonate, and zinc (as amino acid chelate Albion ®), which contributes to the normal metabolism of the acid-base and magnesium, which helps to balance the electrolyte. ALKAGEN ™ is a composition of components used so far only individually in the elite products aimed at people who are physically active. 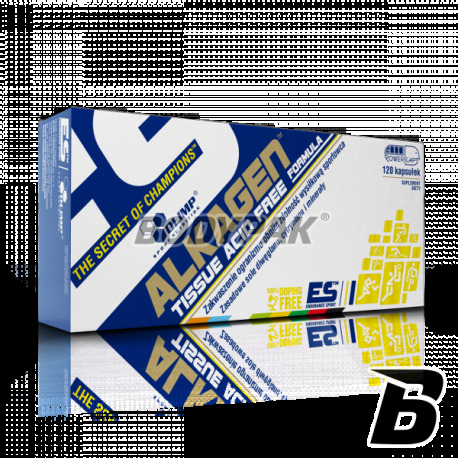 ALKAGEN ™ is designed for all physically active people who want to shorten recovery after training and the acidity of the body caused by intense exercise or lifestyle. ALKAGEN ™ is also recommended for people who abuse the acidic products, such as coffee, black tea, sausages, meat, sweets and alcohol. Under conditions of intense production of lactic acid and other metabolites, reducing the ability of the athlete stress it is particularly high. For this reason, well composed supplementation should include the use of high-quality preparations to sustain high efficiency of aerobic and anaerobic energy production, and thus develop in an athlete's body of well-functioning mechanisms to prevent disorder acid-base balance of the body, allowing for a more efficient workout and faster regeneration. This is the physicochemical state of the body, wherein the ratio of positive ions (hydrogen cations H +) to negative ions (anions hydroxyl OH-), in body fluids and cells in the body is more or less constant, thereby maintaining the physiological pH of the environment wewnątrzustrojowego (7.35 -7.45), guaranteeing undisturbed course of all metabolic processes. A state of equilibrium is difficult to maintain, especially during intense exercise, when it generated by muscle cells lactic acid becomes strong donor hydrogen cations H +. Under such conditions, decreasing the potential of the muscle cell in the field of synthetic primary source of energy (ATP) absolutely required in muscle contraction .Podstawowymi mechanisms to maintain physiological limits intracorporeal pH buffers functioning blood and tissues. These systems are designed to allow the transport of excess ions (the base) from the place of their origin (cells), the body responsible for their expulsion, or kidneys or lungs, without the risk of changing the pH of liquids intra- or extracellular. The most important buffer persistent acid-base balance system remains bicarbonate (HCO 3 / H2CO3), representing 70% of the buffer capacity of the blood. It is supported by the citrates that increase the amount of bicarbonate in the blood and thereby increase the pH, adjusting the distribution of loads in the intracellular and extracellular spaces. Contribute to the maintenance of unchanging pH system also has a phosphate buffer. The resulting cell H + ions in the first absorbed by the anion białczanowego phosphate buffer, and then, mainly by HCO3- and hemoglobin. Na pierwszy rzut oka produkt niepozorny, jednak zwłaszcza przy intensywnym cyklu redukcyjnym, obok adaptogenów, jeden z kilku produktów świetnie dopełniających idealną suplementację. Wpływ na możliwość kontynuacji wysiłku oraz na regenerację potreningową - przynajmniej ja - odczuwam "od ręki". Dla mnie oczywiście nie kluczowy, ale stały i ważny element redukcji. Już raczej nie skuszę się na żadne ashwaghandy czy inne cud-adaptogeny - Alkagen to po prostu strzał w dziesiątkę. Efekty działania odczuwalne z dnia na dzień, lepsze samopoczucie, szybsza regeneracja. Dobra cena i ekonomiczne opakowanie. Zdecydowanie polecam! NOW Foods Vitamin B-1 100mg - 100 kaps. High-quality vitamin B1, which is one of the most important of the group B. A solid dose of good digestibility and every serving! Takes part in metabolic processes.